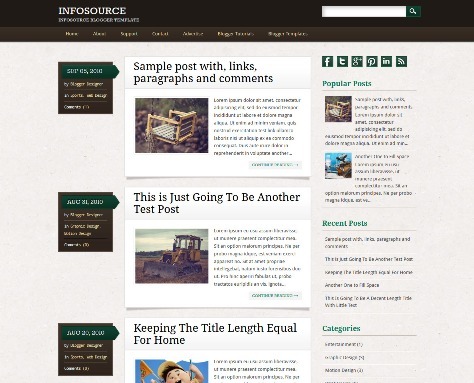 Infosource is a free Responsive, 2 Columns Blogger Template for Blogger Blogs. Features are 1 Sidebar, 2 Column, Navigation Menu, Minimalist, Social Buttons, Adapted from WordPress, Custom Timestamp and Right Sidebar. 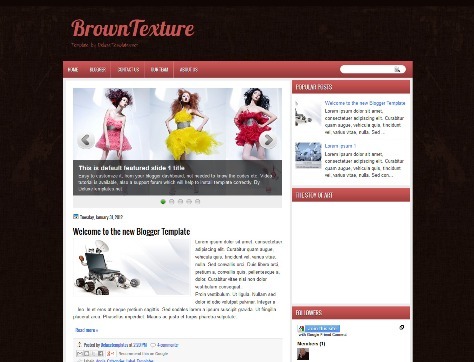 Brown Texture is a Free Blogger template for fashion sites with 2 columns, right sidebar and other 3 sidebars in footer, Ads banners ready, Featured Slider and Social icons. 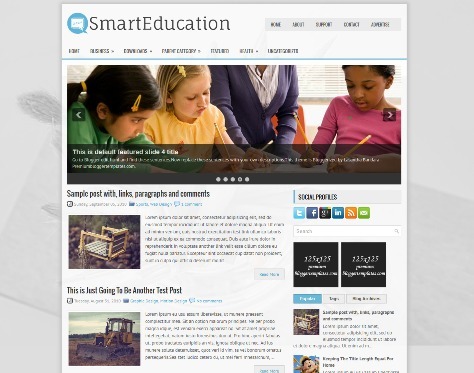 SmartEducation is a Free Responsive and 2 Columns Blogger Template for Education. The theme features are 2 Column, jQuery Slider, Adapted from WordPress, Dropdown Menus, Featured Section, 3 Columns Footer, Fixed width, Tabbed Widget and Right Sidebar. 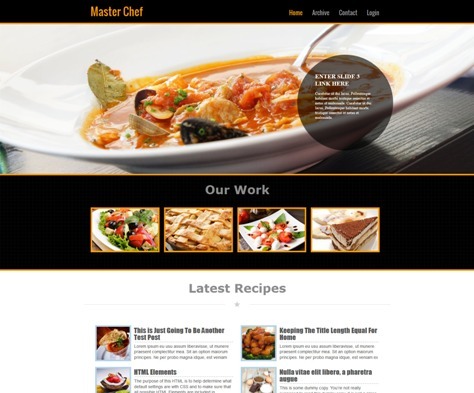 Master Chef Free Blogger template for Restaurants and Food Magazine With Slider, 2 Column, Left sidebar on postpage. 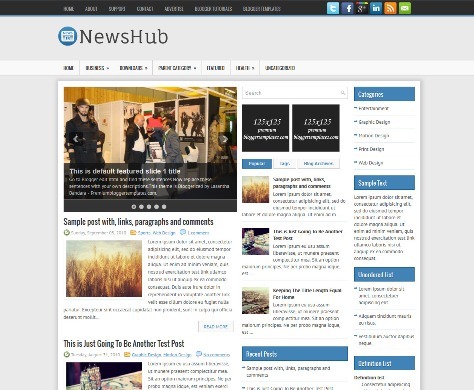 NewsHub is a free Responsive and 3 Columns Blogger Template for News Magazine Blogs. NewsHub Blogger Template has a 2 Sidebar, jQuery Slider, 4 Column footer, Dropdown Menus, Right Sidebar, Slider, 468×60 Header Banner, Tabbed Widget and Adapted from WordPress. TwinMag is a free Blogger Template for Magazine with Dark, Black, White, Blue, Red, Magazine, Profesional, With Slider, 2 Column, With right sidebar on postspage. 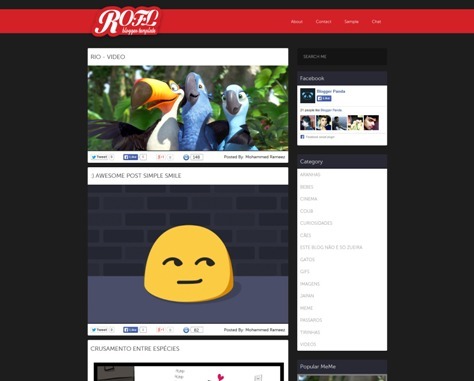 ROFL Meme Blogger Template is a perfect for pictorial related blogs and websites. It was awesome color scheme which is perfect for showcases memes and pictures and videos. Features are SEO Ready, Popular Post, Breadcrumbs, Customized Label Section and View Counter. 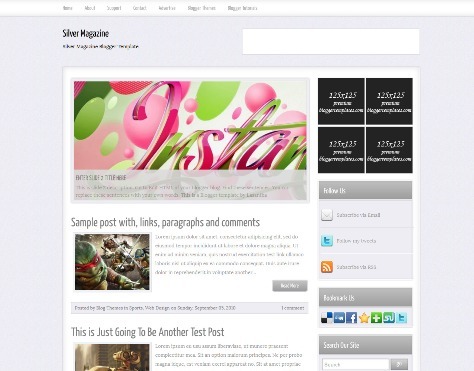 Silver Magazine is Clean and 2 Columns Travel Blogger Template with 1 Sidebar, 4 Column footer, Featured Post Content Slider, Featured Section, Top Navigation Menu, Adapted from WordPress, Ad Banners, Social Buttons and Top Navigation Bar. 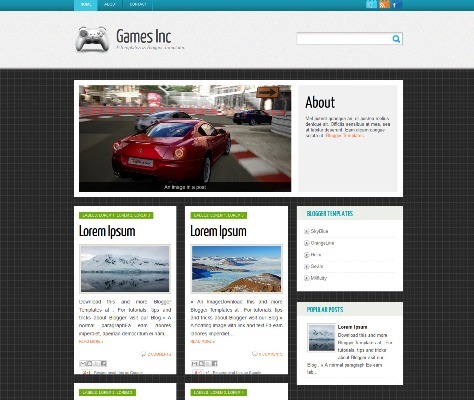 Games-Inc is a Free Blogger Template for Games. Games Inc has 3 columns, right sidebar, footer columns, gallery-styled, slideshow and social bookmarking icons.